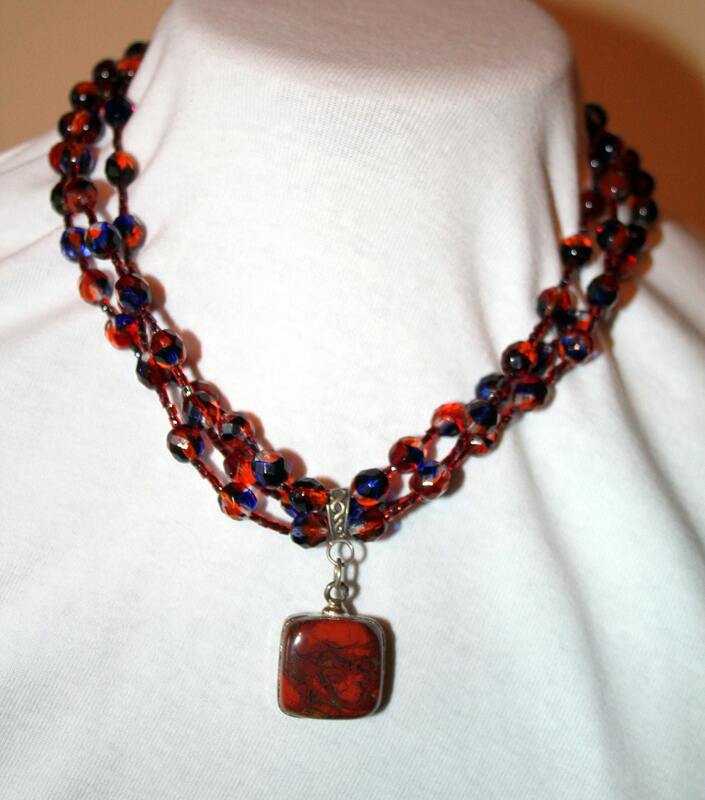 This necklace features a 3/4 inch (2 mm) square red jasper pendant that is encased in a sterling silver band. 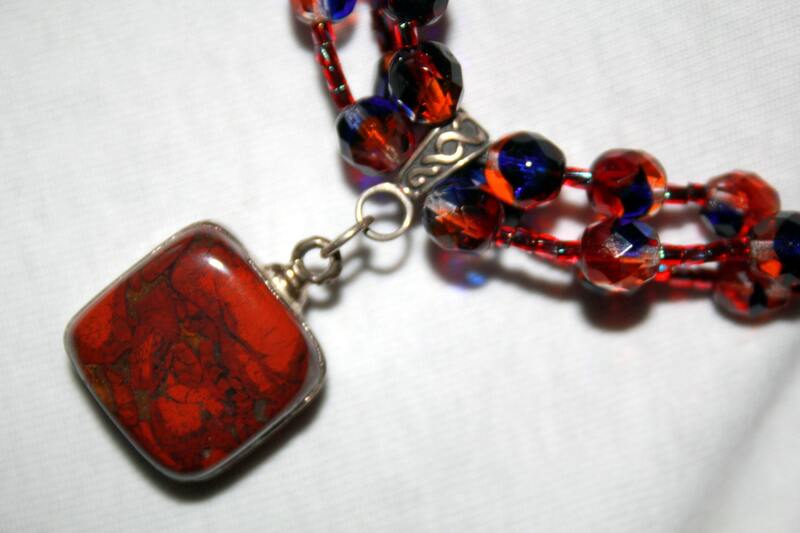 Red jasper owes its vibrant red to terracotta red-brown color to high iron content, and may contain other minerals or impurities that create rich patterns. It is suspended from a sterling silver bail. 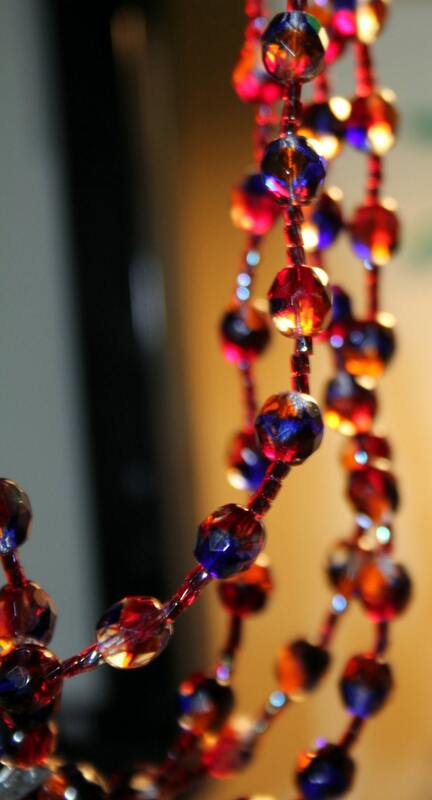 The beads are Venetian faceted glass in shades of royal blue, red and amber and are spaced with faceted red seed beads. The necklace is 18 inches long and fits like a loose choker with a Bali silver hook and eye clasp. The light really dances off the faceted beads.